Rabbi Yitzhak Yosef tells yeshiva students to ignore deans, marry early. 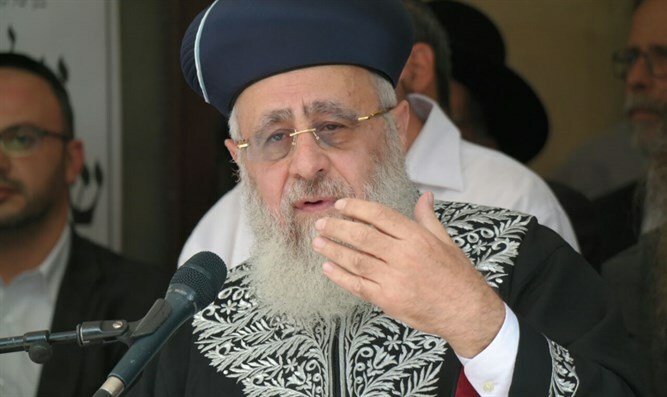 Sephardic Chief Rabbi Yitzhak Yosef attacked yeshiva deans who forbid their students to marry before the age of 24. Rabbi Yosef told the young men not to listen to their deans, and to marry at the age of 20. Anyone who gets kicked out of their yeshiva, he promised, will be able to learn in Rabbi Yosef's yeshiva. In a Tuesday lecture given in a Jerusalem synagogue, Rabbi Yosef said, "According to halakha (Jewish law), you do not need to listen to your father on the matter of marriage. If so, then you definitely do not need to listen to your teacher." "At age 20, you should be standing under the marriage canopy. G-d said that if a person does not marry by the age of 20, becomes weakened. Therefore, when you are twenty years old, do not listen to your yeshiva's dean - even if he happens to be a brilliant Torah scholar. "The yeshiva dean is afraid that he will not have a peer group of students dedicated to learning Torah. He is afraid for the older boys, who will feel alone. Is he taking responsibility for the boys? "There is immorality out there! Do you take responsibility for the student, for the young man? Students should not listen to these rabbis! "Anyone whose yeshiva dean kicks him out of yeshiva because he became engaged early should come to my yeshiva, Yeshivat Hazon Ovadia. Your yeshiva dean, though I respect him, is wrong in this instance." One of the men attending Rabbi Yosef's lecture said, "What should I do if my son is influenced by his yeshiva dean?" "Find a different rabbi who can influence him," Rabbi Yosef said. "Thank G-d, there are many rabbis greater than the yeshiva dean. The yeshiva dean is not the greatest Torah scholar of the century." "There is no reason to be rude," Rabbi Yosef added. "You must speak respectfully."